09 November 2018'Scottish Slave-owners in Suriname: 1651–1863' in Northern Scotland, Volume 9. 'Scottish Slave-owners in Suriname: 1651–1863' in Northern Scotland, Volume 9. Illustrations accompanying John Stedman's account of his service in Suriname as part of the Scots Brigade in the Dutch Army. 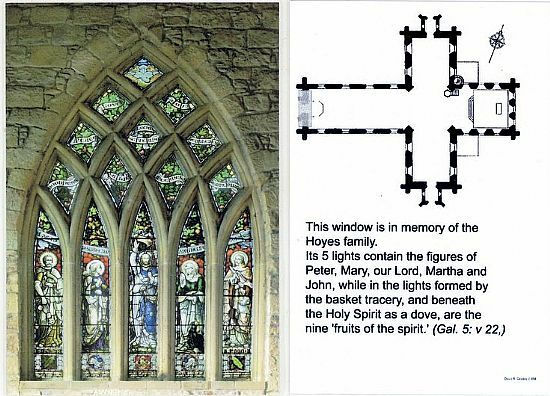 In 1891 Elizabeth Hoyes (Mrs Taylor) had a window placed in Dornoch Cathedral as a memorial to her father, mother, brothers and sister. Elizabeth was born on the Caribbean island of Grenada. Her father, Lewis Hoyes (1784-1842), born in Forres, had been a merchant in Grenada and Speaker of the colony's House of Assembly. He had also been a slave owner and agent, attorney or executor for twenty-one slave plantations. Article is now in print. ‘You have only seen the fortunate few and drawn your conclusion accordingly’: Behavioural economics and the paradox of Scottish emigration in Angela McCarthy & John Mackenzie (eds), Global Migrations: The Scottish Diaspora since 1600 (EUP, 2016): A tribute to Professor Sir Tom Devine, FBA, the leading historian of modern Scotland and its diaspora. In this article I apply the insights of behavioural economics - especially the work of Daniel Kahneman and Richard Thaler - to the study of migration.